For Ada Lovelace Day, which celebrates the history of women in STEM, we’d like to highlight the work of Kathleen Lonsdale FRS. A crystallographer, she proved that benzene has a flat structure in 1929. Although she was born and grew up in Southern Ireland, we were surprised to learn that her father had once been in charge of the post office at Chipping Norton, Oxfordshire, just five minutes from the Cochranes office! She had to transfer to a boys’ high school to study mathematics and science, as the girls' school did not offer these subjects and went on to graduate with an MSc in physics from University College London in 1924. She discovered the structure of benzene and hexachlorobenzene, and also worked on the synthesis of diamonds, using X-rays to study crystal structure. Along with Marjory Stephenson, she was elected as a Fellow of the Royal Society in 1945. 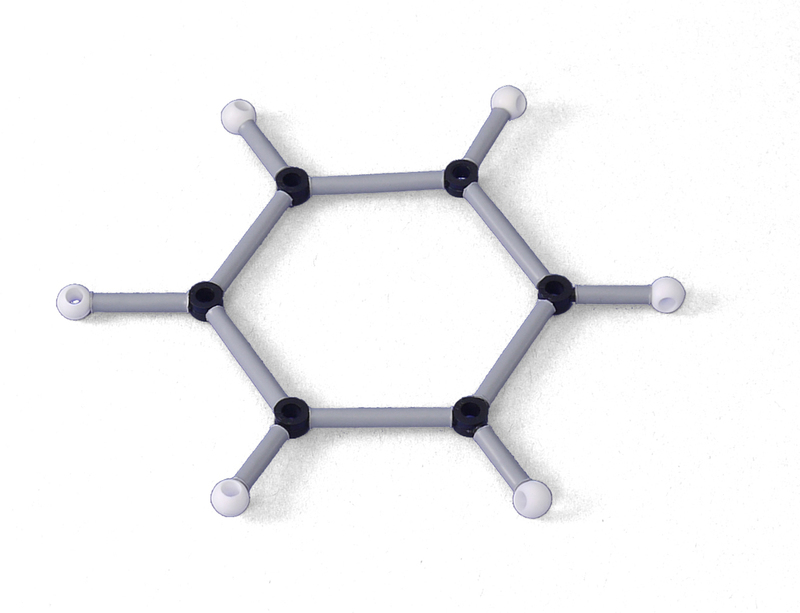 There are different ways of modelling benzene using our Orbit molecular modelling sets. Our example shows the flat structure very clearly, with all the atoms on the same plane.